The air was as still as it was hot-only the whir of a grasshopper's flight troubled the quiet. Jesse felt like an overcooked chicken, his meat darn near ready to fall off his bones. Mouth so dry he didn't have enough spit left to swallow, Jesse croaked, "That guy tryin' to kill us?" Turns out the answer is "not yet." A ranch hand is murdered and bad things start happening to Jesse, just an average kid working on a ranch the summer of 1958. And then there's Lola . . . the boss's daughter is a firecracker of a girl, and her bold ways send death their way. It will take all of their heart and courage to survive. What readers say: "Jesse is the kind of character you hope young boys will turn into-considerate, quietly determined even if he lacks confidence because of his youth and limited life experience in the beginning of the novel, you have the sense he has the character to do the right thing. "Lola is a striking character-so apparently self-assured yet so very troubled at the same time-perfect adolescent angst, and the quiet hints at the darkness that troubles her makes you empathize with her sass more." 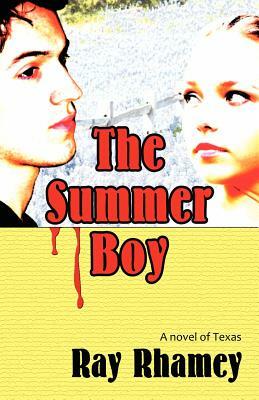 "The Summer Boy brought back memories of first kisses and fogged car windows." "The story is alive. I kept reading even when my eyes were closing at night." "Wow . . . the tension never ended and it seemed to come from all directions. I spent the day reading as I couldn't stop."